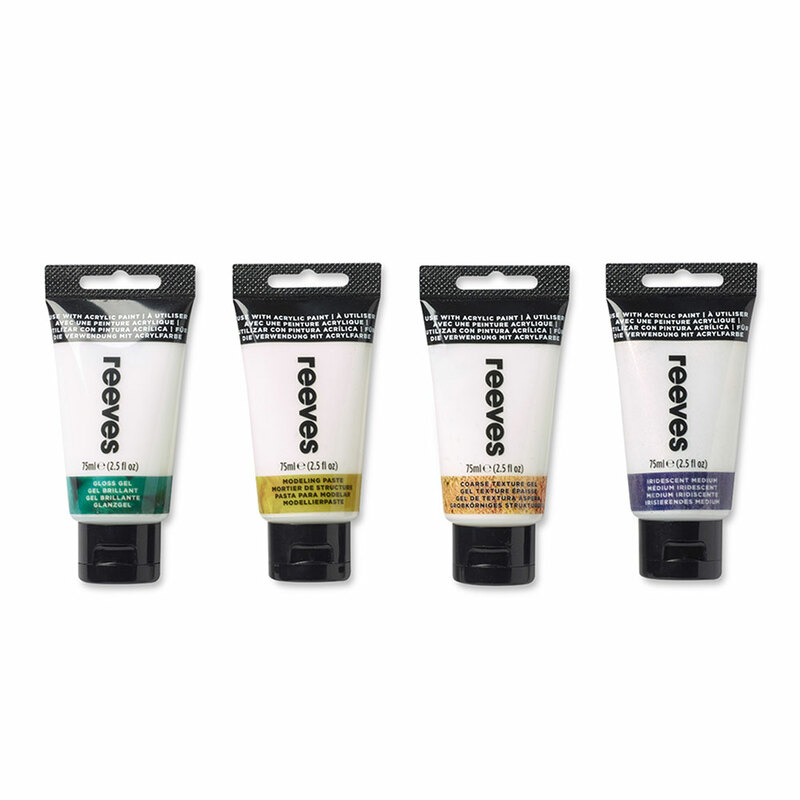 Experiment with texture and finish with our range of acrylic additives. Experiment with different effects by mixing into your acrylic or applying on top of your, still wet, masterpiece. 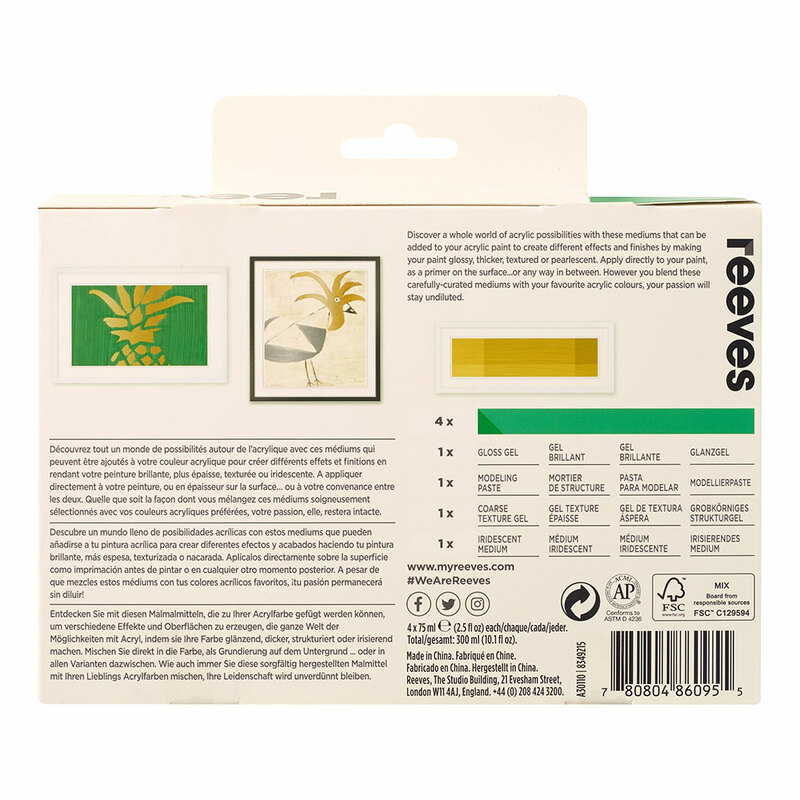 Use our matt or gloss varnish to protect your finished paintings – they dry to a non-yellowish tint. 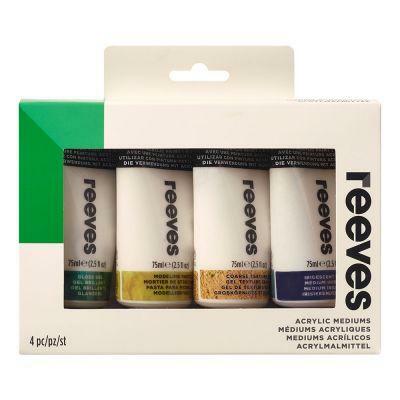 Assorted pack of 4 x 75ml mediums - Gloss Gel, Modeling Paste, Coarse Texture Gel and Iridescent Medium.